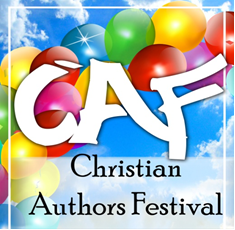 Join us for the 3rd Annual Virginia Beach Christian Authors Festival! Meet Christian authors, attend free seminars, enter for a chance to win free books and enjoy good Christian fellowship at this FREE event to the public. Take the plunge and learn about the publishing process with award winning author, mentor, encourager, and minister’s wife Billie Cook. Publishing your first manuscript can be a scary process. Learn how to maneuver your first publishing venture as Billie guides you through the process and shares her first hand experiences. You’ll be ready to publish in no time! It’s every authors dream to get their book on the shelves of a bookstore. Join author, Pastor and contributing writer for CBN Gene Markland as you delve into the in’s and out’s of this confusing and sometimes elusive process. Meet the faces behind the magic with author and festival producer Christine Tate as various authors give away free signed copies of their books to lucky audience members. Must be present to win. The road to writing Christian fiction with a powerful message can be bumpy. Author and Acquisitions Editor Dina Sleiman explores how to write about today’s significant issues without becoming preachy, boring, or annoying. By examining both the priorities of good story telling and the needs of our culture, this class will help you to write fiction that can truly transform lives. Have you ever walked through the aisles of your favorite bookstore and been stopped in your tracks by a fantastic cover that just seemed to leap off the shelf at you? Dynamic covers sell books. Explore how to put a winning cover together with author and motivational speaker Tracey Moore. Master the art of getting testimonies, learn the elements that create an effective biography and imagine your way to your next irresistible book cover.